"Every time a bell rings an Angel get her Wings" as Belle reminds us with her collection of wings in waiting. 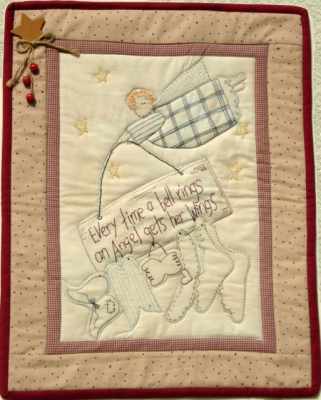 Measuring 18" x 23", this stitchery wall hanging has several borders & is machine quilted. Add a little special something by accessorizing with a wooden star & some bells.